It's time for this week's Color Throwdown and I couldn't be happier! I love the colors we are using this week. And I am so fortunate to be June's guest designer. 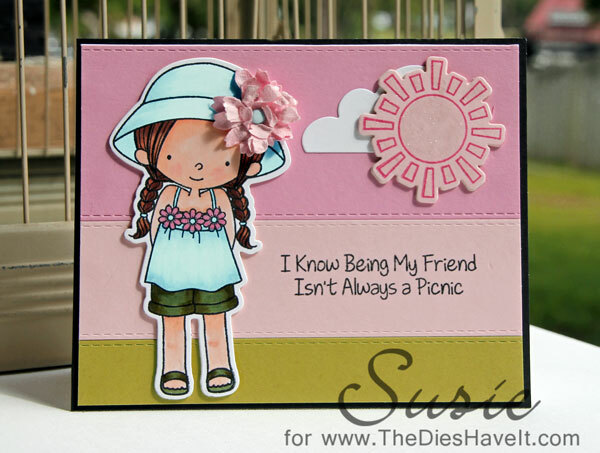 Everything I used to make my card today is from MFT Stamps and is available now. This is by far my favorite company ever. I just returned from their second annual retreat and it was terrific! But back to this week's challenge. Be sure to play along with this week's colors. 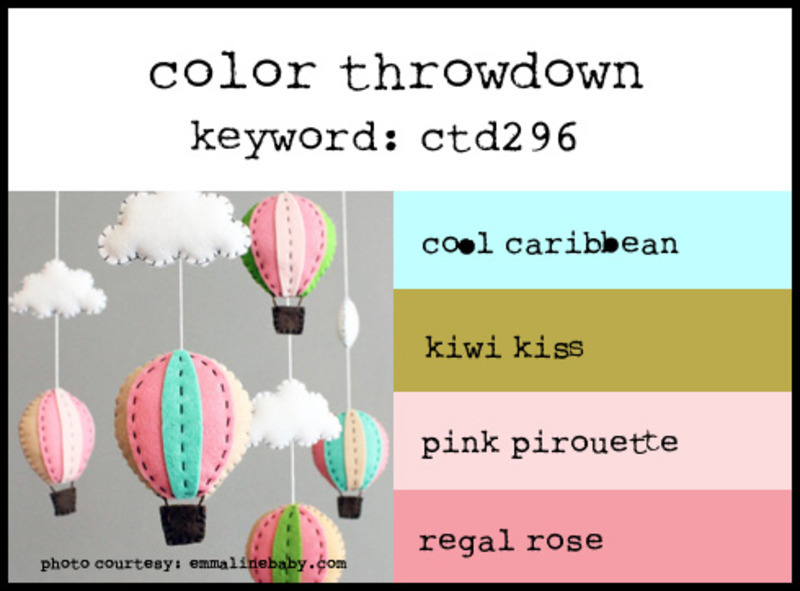 It would make me so happy to see your cards in our link up on the Color Throwdown site. What a darling card Susie. Love the background panels and the sweet image. This is absolutely precious, Susie!! Love the big flower on her hat! Love that image and the sentiment could fit me, LOL!! You went to the retreat....how fun!! Glad you're playing with us this month!! What a darling image (P.S. I was wondering how you got the image so quickly since it was just released last night! )I'll bet the retreat was so much fun!